The father of Sri Lankan cricket allrounder Dhananjaya de Silva was shot dead by unidentified gunmen on the eve of the national team’s departure to the West Indies on Friday, police said. The player’s father Ranjan, a local politician, was gunned down in Ratmalana, a suburb of the capital Colombo, close to midnight on Thursday, police said. An investigation is underway but no arrests have been made. 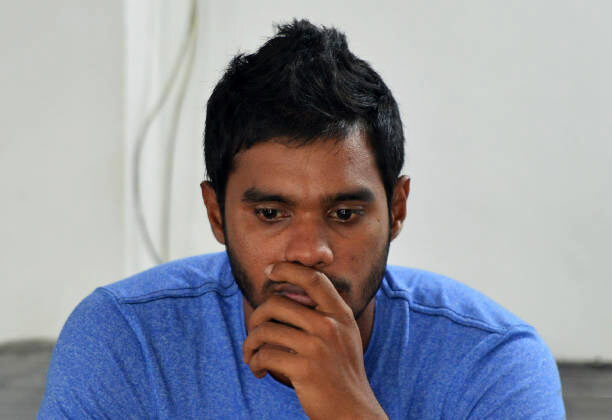 Cricket officials said 26-year-old de Silva withdrew from the tour that involves three Test matches. Sri Lanka will also miss opener Dimuth Karunaratne who fractured a finger while batting in the nets earlier this month as he prepared for a limited-overs domestic tournament. Revised Sri Lanka squad: Dinesh Chandimal (capt), Mahela Udawatte, Kusal Mendis, Kusal Janith Perera, Roshen Silva, Angelo Mathews, Niroshan Dickwella, Rangana Herath, Dilruwan Perera, Akila Dananjaya, Jeffrey Vandersay, Lahiru Gamage, Kasun Rajitha, Suranga Lakmal, Lahiru Kumara, and Asitha Fernando. This is understandable. But I remember Great Sachin Tendukar. Few days after one of his parents death he scored a Century in England and dedicated that knock for his parents! Our thoughts are with you Dananajaya. May you have courage to face this difficult period.